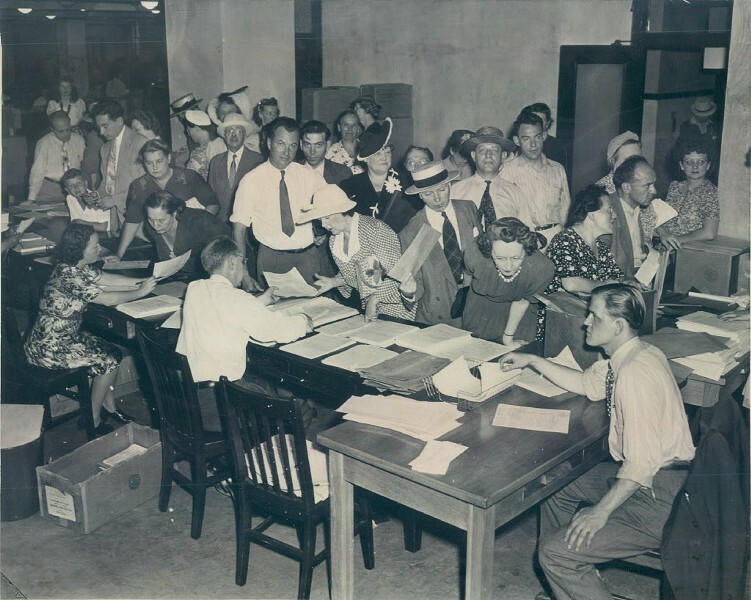 Landlords scramble to register their properties at the Chicago branch of Office of Price Administration, the federal body that oversaw nationwide price controls between 1941 and 1947. If you're reading this and you're against rent control, don't worry: it's not coming to Chicago . . . yet. 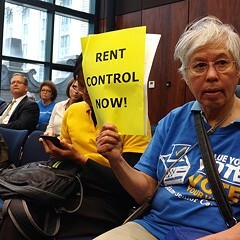 But last week thousands of Chicago voters agreed the state should repeal its ban on rent control in response to a nonbinding referendum on the primary ballot. About 75 percent of the 16,000 voters in 77 precincts across the Third, Fourth, Fifth, Seventh, 12th, 22nd, 25th, 33rd, and 36th Wards that participated in the advisory ballot initiative voted in favor of it. 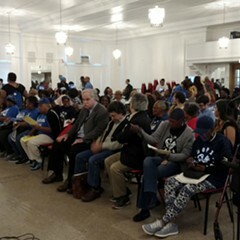 They were asked either "Should the State of Illinois lift the ban on rent control to address rising rents, unjust evictions, and gentrification in our community?" or "To stop gentrification and rapidly increasing rents in Chicago, do you support the State of Illinois repealing the Rent Control Preemption Act?" They're loaded questions, but that's how advisory referendums typically are: they make it onto the ballot due to petition signature collection by advocates seeking to change something. 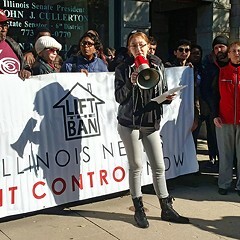 The 1997 Rent Control Preemption Act—a state law pushed by the conservative American Legislative Exchange Council (ALEC) not just in Illinois but in dozens of other states—prohibits municipalities from passing any kind of laws that regulate rent. Last year, state rep Will Guzzardi introduced a bill to repeal the law. If it passes, it can open the way for Chicago to craft its own ordinance regulating how much and how fast rent prices can increase. The Chicago Rehab Network estimates that half of the city's renters are burdened, which means they pay more than 30 percent of their income toward housing costs. The DePaul Institute for Housing Studies reports that low-income areas have the largest gaps between the supply and demand of affordable housing. Over the last two years, a citywide coalition of community groups has mobilized a "Lift the Ban" campaign, and since Guzzardi introduced his bill, seven other state legislators have signed on as cosponsors. Democratic gubernatorial nominee J.B. Pritzker has said that he also supports the repeal measure. Guzzardi says the results of the referendum will help convince others in Springfield that repealing the law is a good idea. "This is a very important step in legislative progress on this issue," he says. "The real estate lobby is very powerful in Springfield, and in order to overcome that power we need to demonstrate to my colleagues that there's broad popular support for this issue. I think the 16,000 people who voted on this question is a big step in that direction." Guzzardi's bill is still stuck in the Rules Committee for now, but he will be pushing for a hearing this session. The agitation around repealing the Rent Control Preemption Act has stimulated unprecedented discussion around the idea of rent regulation in recent months. 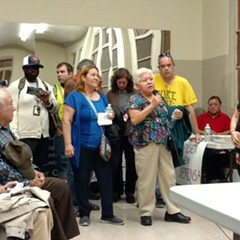 Advocates argue that rent control will slow gentrification and displacement, while opponents say it would lead to the deterioration of the city's housing stock and limit the supply of available apartments. A discussion of what local regulations of rent prices might look like is moot while the 1997 state law stays in place. When the Reader took a deep dive into rent control last year, we discovered that the state law was championed by real estate industry lobbyists and passed by the Republican-controlled statehouse at a time when there had been no movement for rent control anywhere in the state. 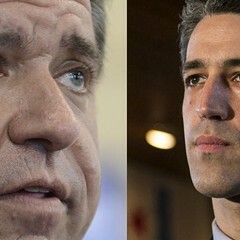 A variety of other perspectives on the issue can be found at WTTW, WBEZ, Crain's, and the Tribune.